It seems that wrought iron gates are all the rage at the moment. With months and months of installing timber gates we’ve recently had a wave of wrought iron and steel work. 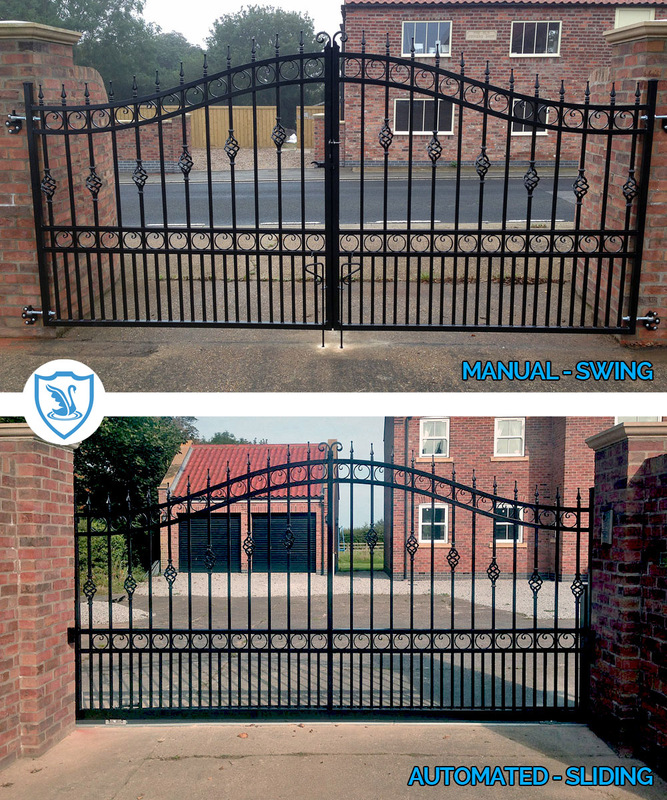 For one of our most recent installations we manufactured and installed a set of manual swing gates at one entrance and an automated sliding gate to the other entrance. The gates were manufactured with the following elements: dog bars to the bottom of the gate, fishtail rings in-between the top bars, baskets across the middle to each alternative pale finished with ball top fluted railheads. To ensure these gates stay looking their best for many years to come, we hot dip galvanised and then powder coated them both in black.